What skills can kids gain by learning languages? With French being taught in most UK primary schools, children are able to develop useful skills through learning a language. With Spanish, Latin and German tending to make an appearance in secondary school and Prince George now learning Chinese Mandarin, we give you some of the fundamental things that kids learn when taking on language subjects. The process of learning a language comes with essential memory skills to learn a list of vocabulary and verbs. To be successful, it is something that has to be learned, memorized and re-produced. By children being required to memorize, they are able to transfer these skills to other subjects, especially when remembering definitions, dates and equations, essential for subjects such as history and science. An interesting point about learning French or Spanish is that children start to learn and appreciate culture such as foreign food, music, geography, landmarks and people. Students get the opportunity to participate in language exchange programmes and go on school trips to Paris and Strasbourg, allowing them to spark up friendships and broaden their horizons. Languages are one of the few subjects that require an oral examination, forcing children to go out of their comfort zone at a desk and showcase their communication skills in front of a teacher or classroom. 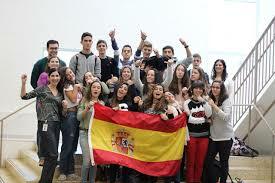 Even the shyest and quietest of pupils have to demonstrate their speaking skills when studying a language. In addition, the role of speaking a language out loud with a limited vocabulary causes pupils to think on their feet and find ways of explaining things when they have limited information. A successful language pupil cannot succeed without listening. Several studies have shown that a language cannot be mastered fluently without listening to it or the help of a teacher. Students learn to listen to their teacher, recordings and their peers and this is a vital skill which can be used across other disciplines. Your children can make the most of their holidays to Europe by speaking to hotel staff and waiters. It is a cheeky way to make holidays also educational and being abroad allows you to pick up words from street signs, radio and TV channels. A great way to engage your children when abroad is encouraging them to find out directions or order meals – taking the classroom into practice and these are skills that can be used for life. For some useful language resources, see BBC Bitesize. Many bilingual and trilingual families get increasingly nervous as the 4+ assessments approach. The prospect of their multilingual child being grilled in English by a native speaker — and the richness of their budding vocabulary being evaluated on the basis of their answer to questions such as what is the colour of your mom’s hair*–is undoubtedly daunting. For many such families the approach of the 4+ marks a shift in priorities. They start to doubt themselves. During the first years of the child’s life, they have often devoted a significant amount of time and energy to embedding their mother tongue(s) in the child. Perhaps they have hired a nanny who speaks the “minority” language(s), opted for a bilingual nursery, spent the bulk of their holiday “back home” or invested in a large collection of books and DVDs in the language(s). In these committed early years, many parents will have also felt a sharp pang of guilt every time they have answered one of their child’s requests in English. Why the guilt? 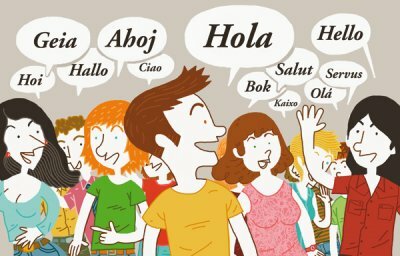 Because when parents are committed to multilingualism, they have usually read –often before birth– the many expert books advocating the adoption of a deceptively simple rule: one person, one language. No concessions. How could it be any simpler? In theory—and before you have an actual child to deal with– the method seems easy to implement; it also carries proven benefits, such as helping the child to perceive the different languages as distinct and forcing them to address each person in the correct language. In practice, it takes an enormous amount of commitment from the parents, thus running the risk of them giving up on the project altogether. Why is this approach so tricky in practice? Firstly, because a myriad of parents, especially in London, have no common language other than English, and thus speak English at home. So when mom addresses the child in her native language, dad doesn’t understand. Everything needs to be repeated in English. Throw in an angry toddler, exhausted parents and a flailing bedtime routine and the whole effort can feel like a waste of time and energy you cannot afford. Secondly, the rule forces the minority-language parent to pretend they don’t speak/understand English. 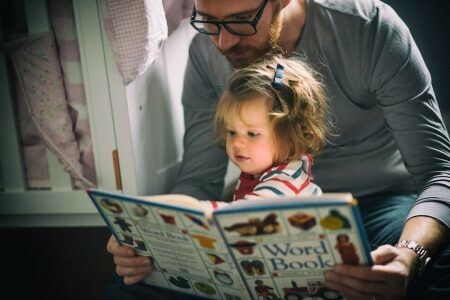 While this may work in the very early years, toddlers quickly wise up to the fact said parent does interact in the “forbidden” language with other people all day long. They will start addressing the parent in English and can get immensely frustrated when cooperation doesn’t ensue. Third, it makes parents feel like failures when a) little Jeanne refuses to say a single word in French at age 3 despite all their efforts b) they slip and end up using English when it’s easier, more polite or more convenient. In light of these real-life findings, our experience of raising children in multilingual households and our many consultations with similar families, we advocate a more flexible, and much less guilt-inducing, approach. Do what you can. Speak your own language by all means and reinforce it as much as you can, but also allow yourself the occasional shortcut. Buy the books and DVDs, attend the plays and the pre-school classes and sing your childhood songs. But do not insist on speaking Croatian to your child at birthday parties or the dinner table if no one else can take part in the conversation. Do not turn down requests to read favourite library books in English (they’re asking for a book! Not the iPad! Congratulations. You’re doing an awesome job already). In essence, do not make your life immeasurably more complicated or hold yourself to unattainable standards. Perfectionism is not an appealing character trait. In fact most schools are now actively working to discourage it in children as it prevents them from taking risks (for fear of failing) and can contribute to mental health issues later on. We would venture to say that the same is true of parents’ approach to bilingualism. Ditch the perfectionism and aim for something that is sustainable, flexible and suitable for your family and lifestyle instead. Our experience with multilingual families shows that everyone has their own recipe. Some families speak the native language only at home, others only when alone with their child, others still mix it up all day long and say the children always end up figuring it out. As long as you ensure sufficient exposure to the language, the child will eventually learn it. At their own rhythm, which may vary widely between siblings by the way. So let’s say you have been flexible but consistent and you’re feeling pretty good about little Marcello’s Italian, while his nursery teacher commends him on his English. Job done. Then you visit a couple of prep schools ahead of the dreaded 4+ assessments and panic sets in when the odd straight-speaking headteacher says your child will be disadvantaged when their vocabulary and fluency is assessed in English, stressing they couldn’t care less about their ability to speak one, two or three other languages. Should you immediately flog all the Spanish Peppa Pig DVDs and fire the au pair? Certainly not. This is where you need to hold fast and be confident about your parenting and your priorities. Remember that while the prep is in it for the 11+ results, you’re in it for the long game: a well-adjusted adult who can work somewhere else and be equally at ease in two or more cultures. True, your little one may not know that the small plate underneath a teacup is called a saucer, but wouldn’t you rather they can communicate with their grandparents? There is plenty of evidence that bilingualism is positive for brain development and we at Magus Education firmly believe that its benefits far outweigh the temporary difficulties it may cause. So stick to your guns, give them a big kiss and wish them a loud “bonne chance” as they enter the assessment classroom. * The “right” answer is not yellow or brown but blond or chestnut. Aude is a co-founder of Magus Education. She is an Ivy League graduate and worked for more than a decade as a journalist for publications including Dow Jones and the Wall Street Journal. She writes about all education matters and has a special interest in multilingual children. She raises her two trilingual daughters in London.